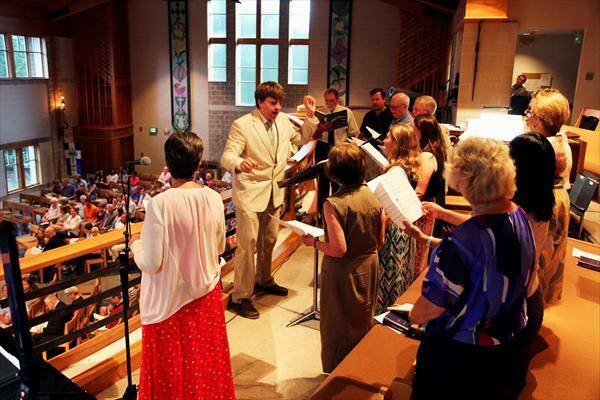 The Adult Choir provides musical leadership for the 9:30 am worship service on a regular basis. Rehearsals are held on Thursday evenings from 7:00 p.m. to 8:45 p.m. (September through June.) In addition, the choir presents two major concerts each year at Christmas and in the Spring. Professional musicians are hired to create a unique opportunity for singers and audiences alike. Membership is open to all who want to further their musical skills regardless of their level. For more information, contact David Merrill, Director of Music and Arts.